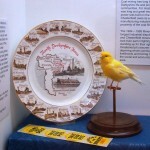 On Sunday 27th March the MuBu miner paid a visit to the Industrial Museum at Wollaton Hall near Nottingham. The museum is run by volunteer members of the Nottingham Arkwright Society and steaming days take place on the last Sunday of each month. 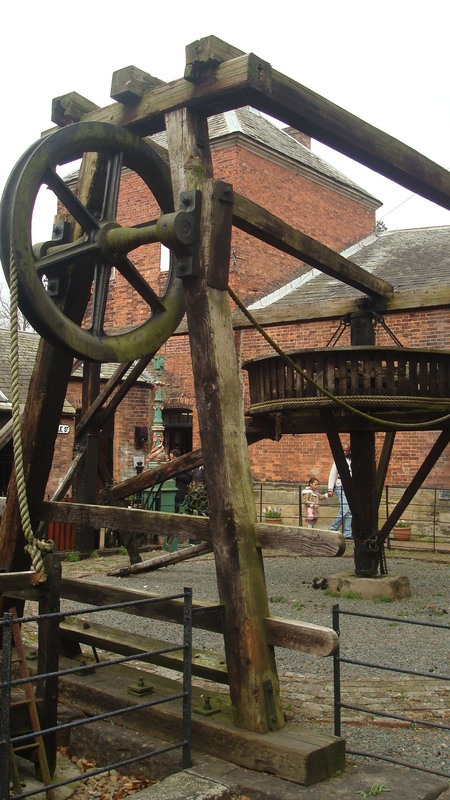 There are several items linked with the local mining industry including a 19th century horizontal winding engine and a Whim Gin. 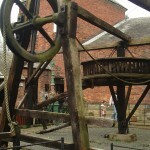 Whim Gins were early horse operated winding devices for winding the kibble up and down the shaft. The Whim Gin at the Industrial Museum used to be based at one of the old pits near Pinxton. 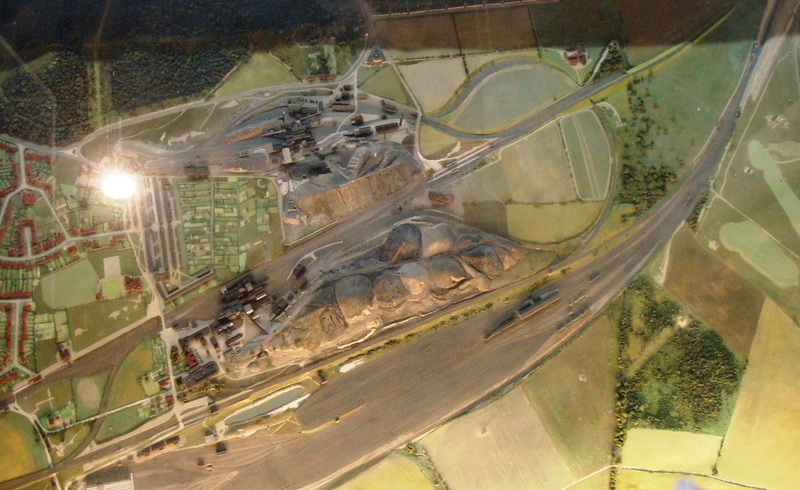 Also on display is a scale model of the railways and collieries at Newstead and Annesley, the MuBu miners old stomping ground. 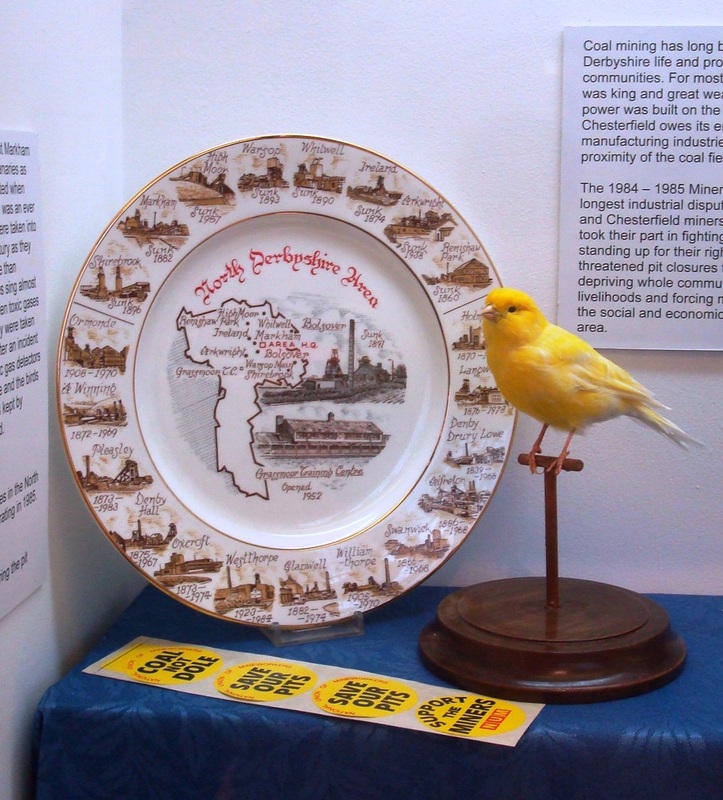 The display used to be in the offices at Newstead Colliery and it is thought it was made by Walt Slaney, former Electrical Engineer at Newstead. Following a WEA (Workers Education Association) Seminar in Chesterfield on 12th March 2011 the MuBu miner payed a short visit to Chesterfield museum. 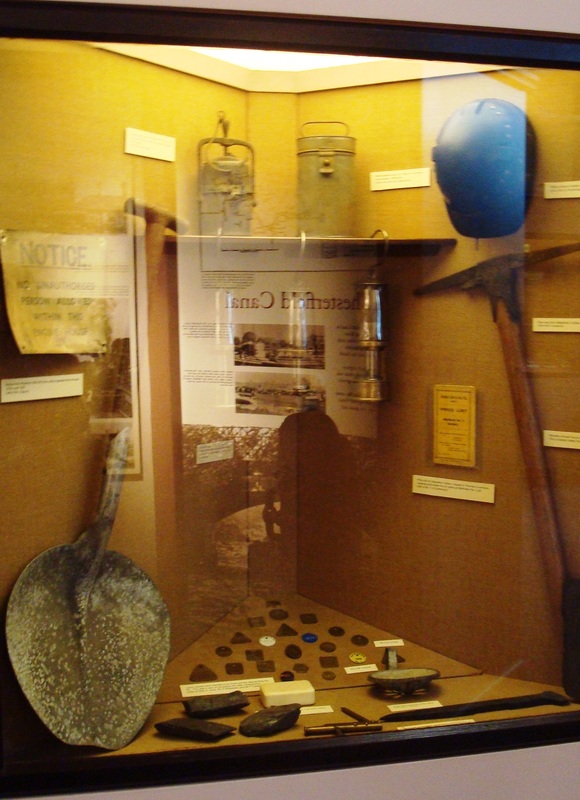 Various display boards gave information on the coalmining industry around Chesterfield and there was a display of various coalmining artefacts including picks, helmets, miners flame safety lamps and a stuffed canary from the local Markham Colliery. Deep coalmining finished in North Derbyshire in 1993 when the last three collieries, namely Bolsover, Markham and Shirebrook all closed. Deep mining in the southern part of the old NCB North Derbyshire Area finished much earlier than this when Ormonde Colliery, near Heanor, closed in 1970. 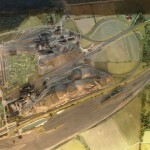 In the last 20 years the virtual disappearance of coalmining has changed the nature of large areas of Britain and communities that were established there. Some maintain that given the conditions in which miners worked, this has been no great loss. 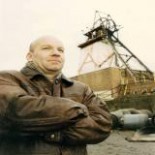 But mining was more than an industry, it was a way of life that spawned an entire culture. Just 8 pits remain in Britain out of 170 that operated before the disastrous miners strike of 1984, and nearly 100,000 former miners have been forced to seek new jobs. 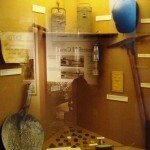 A few mines have been turned into museums, but others have been flooded and put beyond use. Although there is uncertainty about how Britain’s future energy needs will be supplied, it is unlikely that coal will play a significant role.